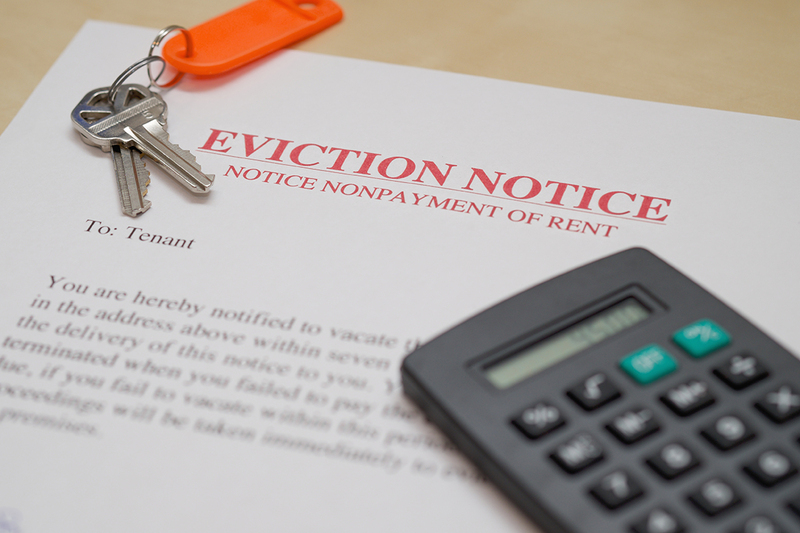 This Tenant Eviction Story Holds Some Key Lessons! A Tenant was evicted on Tuesday 29th May by the Sheriff (Bailiff). He was made aware of the implications of going back into the property without being accompanied by a representative from our office. His belongings were still inside after the locks had been changed and he was told to contact our office to make a time to remove the goods. The next day, our Property Manager went back to the house and discovered that the tenants had been back inside the house and the male was asleep in bed!! The police should have known better! She returned to the office and called the Police who advised it was a tenancy matter and not their problem. She advised that the Tenant had been evicted by the Sheriff and that the Tenants were now trespassing. They said they required evidence. She stated she had the possession order from the Tribunal and the declaration from the Sheriff’s office that the eviction had taken place. They wanted to sight the warrant, which she explained was in the possession of the Sheriff. There were ongoing calls to the police each day, as there was evidence the Tenants were there at night, but not during the day. Each day, two of our Property Managers attended the house, locked and put dowel rods in all the windows and placed a padlock on the electricity meter box. Each night the tenants would return forcing and breaking locks. Now obviously there is more damage to the property and it is certainly dirtier that the eviction day. The evicted tenant holds a party at the property! On Friday night (above and beyond the call of duty) one of the Property Managers drove by the house and discovered all the lights on and a party happening! She remained in the car and called the police. The police attended and again asked to see the warrant, so without that, did nothing and left. By Monday 4th June, the Landlord and the two Property Managers attended the police station after receiving a copy of the warrant from the Tribunal and requested to speak with the shift Supervisor. Again, he said that this was not a police matter! The Property Manager suggested that he call the Sheriff’s Office and seek advice. At this point, both the Tribunal and the Sheriff could not believe the police were not doing their job. After the police Supervisor spoke to the Sheriff, he returned to the desk with a different attitude. He took statements from the Landlord and our Property Managers. The police attended the property, but of course, the ex-tenants were not there. Today, we have received a call from the ex-tenant that he has obtained a truck to remove the goods and the Landlord is meeting him at the property so that he can remove them. What can property managers learn from this? The lesson in this? I think in future we need to get a copy of the Warrant after the eviction has taken place so that if the Tenant does return to the property, the police have the evidence that they require! In my absence, my Property Managers have done everything that they could, for which I commend them. The red tape (and insufficient knowledge) of our police in real estate matters is something else! Thankfully, the Landlord does have insurance, but the time our guys have spent on this issue, we probably won’t be compensated for! Thank you to Sheena Zullo from Professionals Paradise- NSW for this well documented, but very frustrating and highly unusual situation. Thank you for sharing your story with us and for your permission to use it!